The lack of microblading pigment holding on to the eyebrows is a review we read from many. However, if it isn’t taken care of properly, this is a common problem. Most of the women do not follow the proper aftercare measures face the problem more than the others. Others often complain that their brows do not look the way they want it to. There are chances that your microblading artist has committed some mistake which is why the pigment couldn’t hold firmly. Also, the process of healing has a significant impact on the microblading procedure. There are several reasons why the skin is giving out the microblading pigment just after the process. Microblading is done by making a small cut in the epidermal layer of the skin. Further, the ink is placed on the cuts to cover up for it. The skin takes a lot of time for the pigment to heal. When you notice your eyebrows giving out the microblading pigment, it is just a sign of healing. Therefore, you should not be panicking over this fact. During your healing period, it is natural for you to lose some pigment. After six weeks, you can expect about 85% of the ink to remain intact to your skin. In the initial step, the eyebrows remain very dark but then become patchy. Soon, they lose their overall color and become light. You may feel confused but do not take it seriously. Your microblading artist will assure you that it gets normal after some time. If your skin starts losing the microblading pigment within two months of the procedure, it suggests that it isn’t normal. Therefore, you should check with the process. There are chances that the microblading ink didn’t penetrate within the skin. To get an effective and longer lasting result, the ink should penetrate to the epidermal junction. Also Read Health Benefits of Green Juice for Your Skin! If the cuts are made on the superficial epidermal layer, then the brows will surely give out the dye. You will be aware of the penetration when you hear a tearing sound during the microblading procedure. It is effective and will cause a slight pain. Many people develop an infection during the microblading healing process. The skin infection will force out the dye and cause a scar on your eyebrow. However, if you notice it in the initial step, you should take proper procedures to prevent the infection from growing. Another reason why you might develop the infection is the sensitivity of the skin to the dye. Both sensitivity and allergy can force out the pigment from the skin. 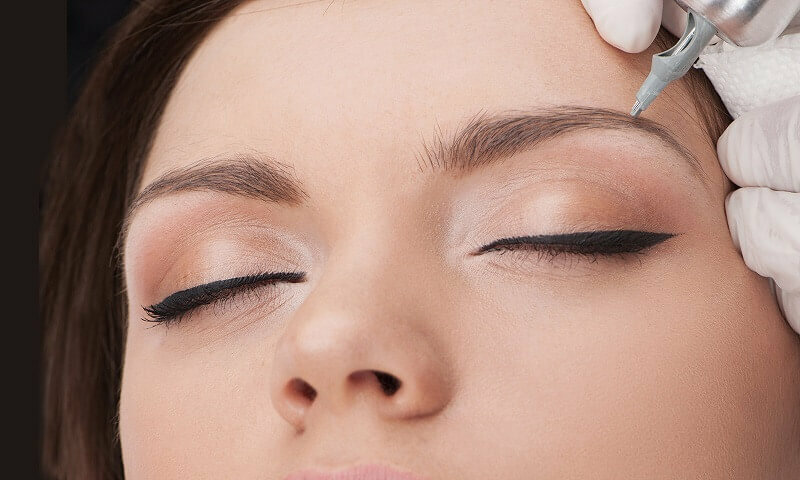 Therefore, before beginning with the procedure you should check with your microblading artist if they’re using high-quality ink. Well, this is one aspect where you can completely blame the artist. There are chances that your microblading artist did not use the same color dye as that of your skin dye. While some of the dye will adapt to the skin color, some will definitely give out. It will look some shades lighter but at the same time, it can be a loss of money. Therefore, it is very necessary that you choose the right artist for microblading Atlanta. Also, make sure to have a discussion regarding the color, pigment, and quality before the microblading procedure. Aftercare is very much necessary if you want the microblading procedure to last for a long time. Make sure to follow the instructions, the same manner your microblading artists ask you to. You should consult with your artist whether dry healing is best or wet healing for your skin. Using the wrong ointments too can be a major drawback. The loss of microblading pigment is considered to be normal only to a certain extent. However, if it increases, you should immediately contact a professional. Make sure to keep a proper check on the ink during your healing procedure for better convenience.